The Pittsburgh Steelers and the Denver Broncos will get together on Sunday night in the first Sunday Night game of the Week. The Steelers and Broncos are playing; as a re-match of the AFC playoffs a season ago, when the Broncos downed the Steelers behind Tim Tebow. Denver was the AFC West champions a season ago, while Pittsburgh garnered the AFC Wildcard, finishing second in the AFC North. The Broncos split their four games during the pre-season, while the Steelers won three out of four. Denver won their pre-season finale, while Pittsburgh won their final three. Are you betting on this Sunday Night Football game? Bet on it at this bookmaker to get the best lines. The Broncos have a new quarterback this season. After a solid rookie season from former Florida star Tim Tebow, Denver went out and traded Tebow and picked up former Colts star Peyton Manning. 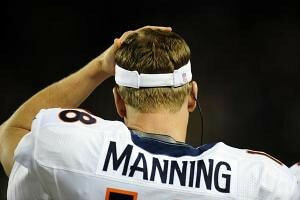 Manning is coming off missing all last season with a neck injury. The Broncos are hoping to have another great season from receiver Eric Decker. Decker finished last season with eight touchdown receptions, and over 600 yards. Knowshon Moreno should be healthy, but has been a question mark through most of the pre-season with various injuries. The Broncos were one of the top rushing teams a season ago, but much of that came from Tebow. Manning will not run nearly like the mobile Tebow did. Denver will battle it out with Kansas City, San Diego and Oakland in one of the most competitive divisions in all of the National Football League. For Pittsburgh, they are looking to get back at Baltimore after losing the division to them last season. 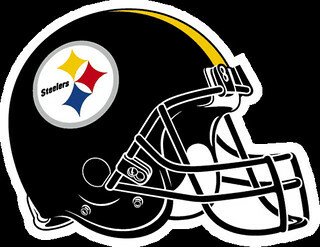 The Steelers hope to get off to a better start, after getting blown out to start the 2011 season. Pittsburgh is still led by quarterback Ben Roethlisberger. The quarterback threw for over 4,000 yards last season, and finished with 21 touchdown passes. Rashard Mendenhall, Pittsburgh’s top running back garnered over 900 yards and 9 touchdowns last year. The Steelers defense continues to be one of the most dangerous in all of the league, with guys swarming all over the field. Ready to make your bet? This sportsbook has great betting selections for Sunday Night Football games. This is going to be an excellent football game. After the first week of the season, we will see some fantastic games. This should cap off a very fun first Sunday of the season. We look for the Broncos offense to look good early, and Manning to be able to throw to open guys. As the game moves on, we like the Pittsburgh defense to cause more problems. The Steelers defensively have a great unit of players and will come through when in need. In the past decade, these two teams have only played six times. In those games, the Broncos have won four of them. The line for this game is Denver -1, and the over/under is set at 44.5. We like the Pittsburgh Steelers to win this game, and cover the spread as the underdog. We also like these two teams to go over, with a Pittsburgh 27-21 win over the Broncos. Be sure to grab this game, and all of the other National Football League action!